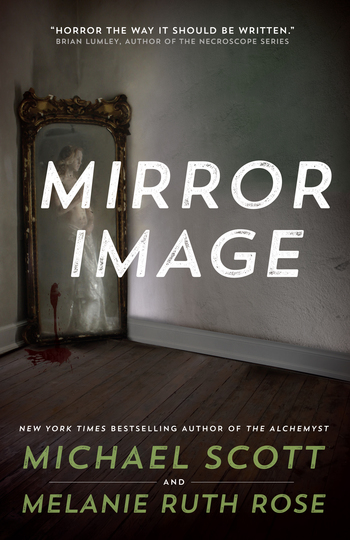 A mirror that feeds on human souls wreaks destruction on those around it in Mirror Image, the new novel from internationally bestselling author Michael Scott and Melanie Ruth Rose. THE MIRROR stood seven foot tall, four foot wide, the glass dirty and speckled, warped so that the images it showed were slightly distorted and blurred. It was quite grotesque. MICHAEL SCOTT is the New York Times bestselling author of more than one hundred books for both adults and young adults, including The Alchemyst, The Magician, and The Sorceress. His work has been published in thirty-seven countries and translated into twenty languages. Scott lives in Dublin, Ireland. MELANIE RUTH ROSE has worked extensively in the entertainment industry throughout her career, completing numerous projects for the BBC, LWT and ITV, and appearing on the West End stage. She lives in Los Angeles.